Tuvan KGB is reported to cut short an interregional narcochannel from Tuva to Khakasia. Yesterday it carried out a successful operation throughout which two narcocourriers were detained with over 8 kg of hashish. One of them turned out to be a militiaman. Tuva is planning to allocate RUR113.5 million in 2006 for the purchase of cattle under leasing terms. Some pedigree lines adapted to severe climatic conditions will be purchased in the neighboring Mongolia. Relevant agreement was reached at Mongolia Government. Draft agreements are ready but not signed yet as they have to be approved by Russian veterinary authorities. A total eclipse of the Sun is just round the corner. It is due on March 29, 2006. Earth dwellers have been observing a total solar eclipse, an extremely interesting astronomical phenomenon, for a few thousand years. 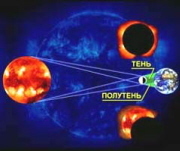 However, scientists became capable of explaining the essence of solar eclipse just recently.A total solar eclipse occurs when the Moon is at or near perigee or the closest point in the orbit and the Moon appears large enough to cover the bright disk, photosphere, of the Sun completely. Kongar-ool Ondar and 'Alash' group preformed in the USA Embassy in Moscow. The concert in the conference-hall of the building on the Novinski boulevard gathered almost a hundred diplomats, as Kongar-ool reported to 'Tuva-Online' The group tomorrow in the morning is heading for USA via Frankfurt. They are invited by the Open World programme and are to tour USA till the 10th of March. But the Tuvan throat-singers plan to stay behind till April, 4 according to their own schedule and give more concerts for the khoomei-lovers. 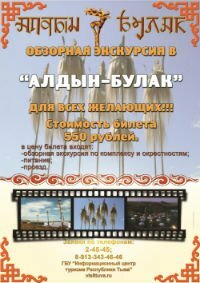 Moscow-based Tuvans greeted Shagaa two weeks later after the New Year according to the Moon Calendar was celebrated in Tuva. 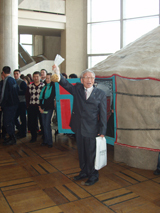 The tradition of the New Year festivities which was regular in the Russian capital in the old times were interrupted in 2004 after a large-scale Tuvan Shagaa was held in in the All-Russian Exhibition Centre. Thus it was long awaited and attracted hundreds of Tuvans of all ages. This time it was hosted in the House of Culture of the Autoplant ZIL. In the foye a wide range of Tuvan traditional dresses, souvenirs, jewellry,s tone-carvings was on sale. A yurt was set up on the second flour where hot white tea was offered to the guests. Leonid Natpit-ool is appointed chief-editor of the 'Tuvinskaya Pravda', oldest Tuvan news-paper. It was started in 1924 as 'Red Ploughman', news-paper of the Russian settlers in Tuva. In 1931 it was renamed into 'New Road', later in 1934 - into 'Forward!' and finally in 1942 it acquired its present name - 'Tuvan Truth'. it was the official press of the Tuvan Communist party, after perestroika it came under the auspiceship of the Tuvan Government. A grand ceremony was held to launch "Year of Russia" Sunday on the occasion of China's Lantern Festival in Manzhouli City, China's leading inland port on the China-Russia border, in North China's Inner Mongolia Autonomous Region. More than 2000 Russian tourists joined the local people in celebrating the Chinese traditional festival while attending the opening ceremony in the city decorated with lanterns. New caffee has been opened in the Tuvan capital. It is called 'Khoomeizhi' as its owner Otkun Dostai is a well-known Tuvan throat-singer. Traditional Tuvan dishes will be served in 'Khoomeizhi' and the first plates were tasted by musicians from 'Amyr-Sanaa' group and by Vladimir Oidupaa, who was recently liberated from prison. Deputy head of the Mongolian and Tibetan Affairs Commission Baatar Hai shortly visited Tuva. As is known it was an inofficial visit during which Mr Baatar Hai interested in the Central Asian cultures got a deeper insight into the Tuvan culture. He visited Tuvan museum where an exhibition by young artist Nadezhda Rusheva and the other one devoted to shamanism in Tuva were on show. Negative attitude toward snow leopards grows in Tuva where in the end of January a wild cat killed 65 sheep and left 25 wounded. It happened in Mongun-Taiga. 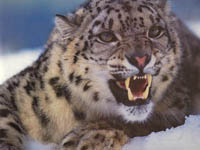 The case was reported to the Tuvan government by the owner of the livestock atacked by the predator. Commission inspected the site and confirmed that the livestock according to the character of bites and wounds could have been killed by a wild cat. The shepherd is preoccupied by the loss and asks for the compensation.